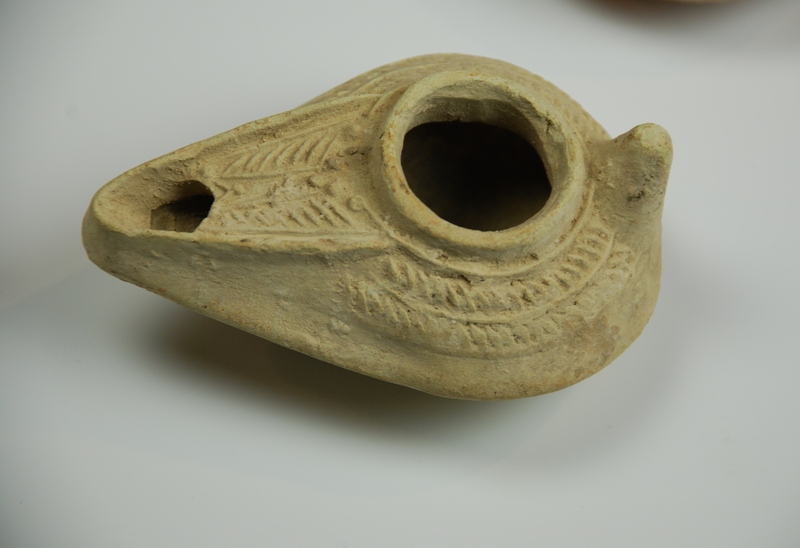 Oil lamps were used by the ancient people of the Middle East, Europe, and Northern Africa to light their homes at night. They were fueled by fish oil, animal oil and fat but mainly by vegetable (olive) oil. 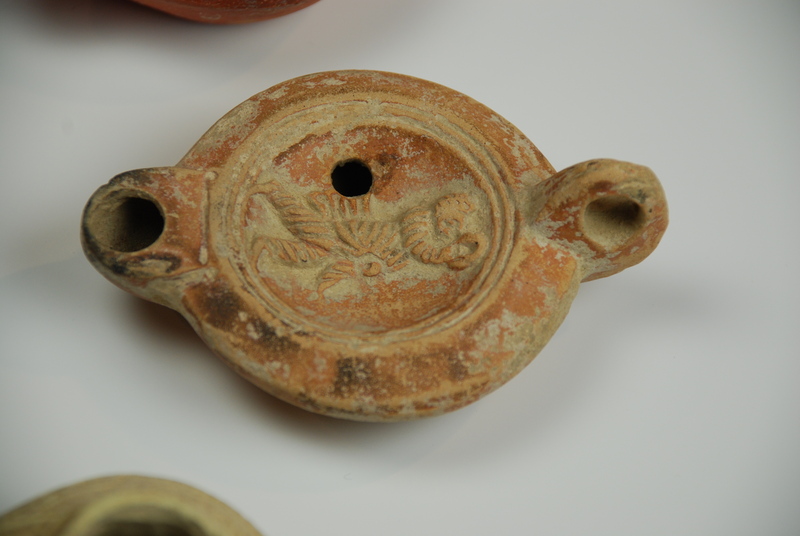 A woven fibrous wick was placed in the hole at the tip of the lamp to burn the oil. This group of people includes the Greeks, Romans, Jews, Early Christians, Egyptians, Muslims, Syrians, North Africans, Celts, Gauls, Britains, and even some early Crusaders. 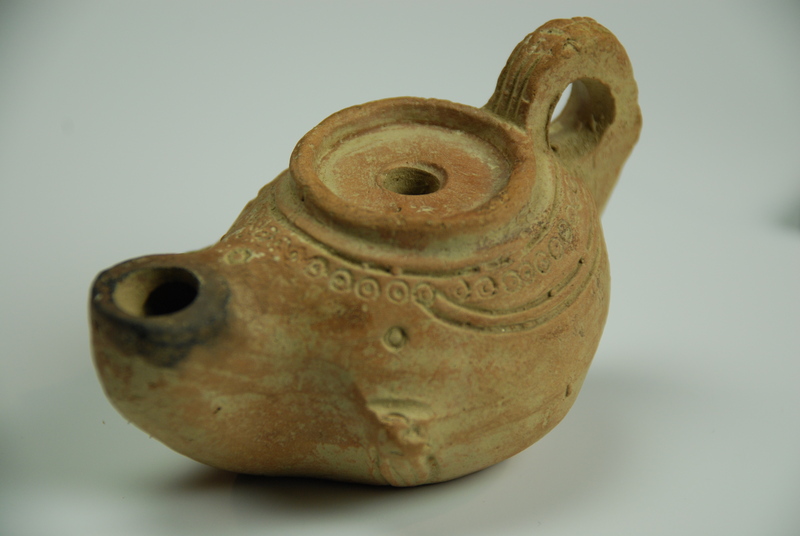 The time period for oil lamps is approximately from 300 BC through 900 AD. 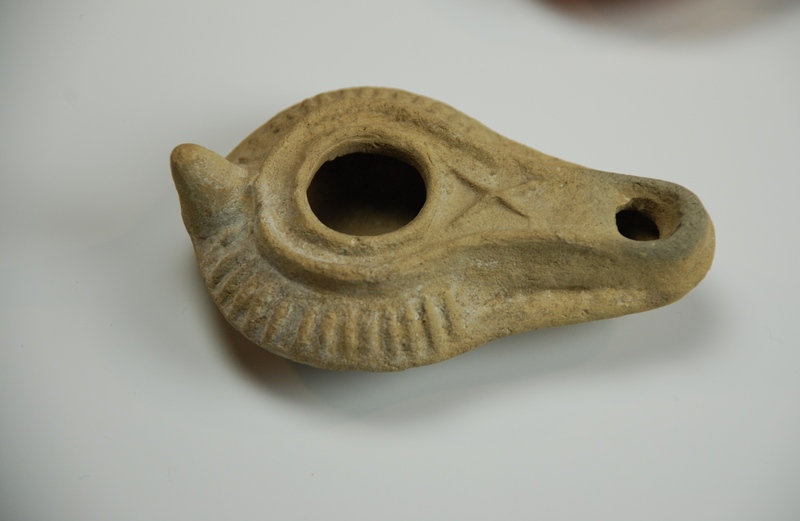 Generally they are thought of as Roman or early Islamic oil lamps. 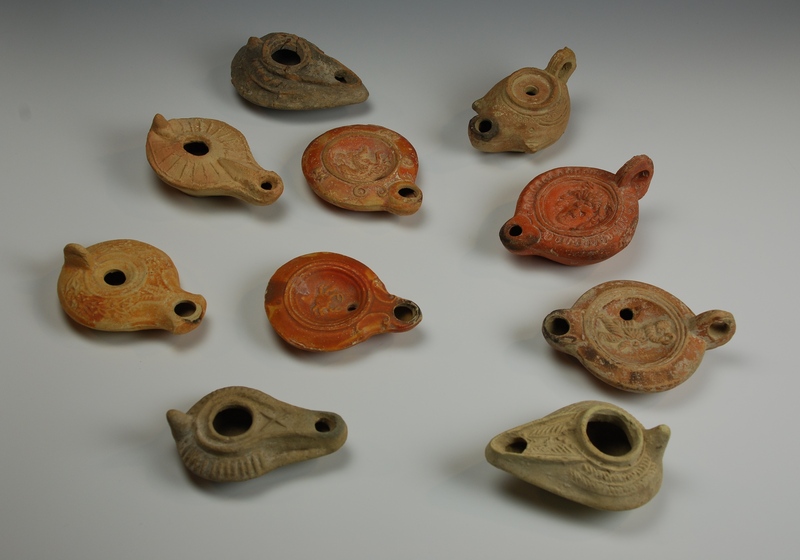 The examples here are earthenware ceramic or clay lamps. 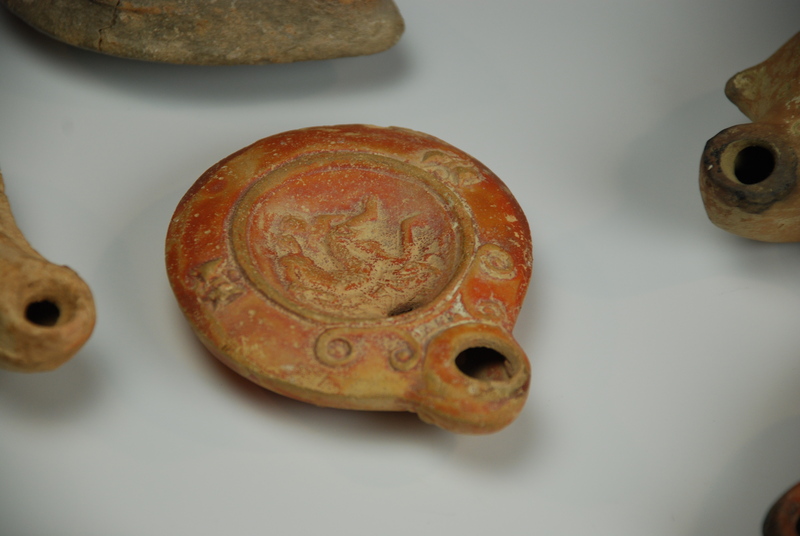 Oil lamps were also made in various metals and in glass. 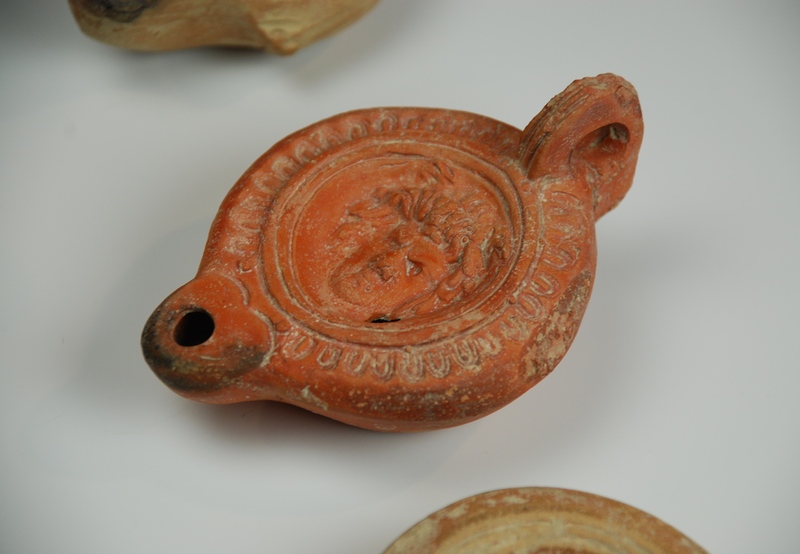 The traditional Roman technique for making clay lamps was to press the raw clay into gypsum molds. 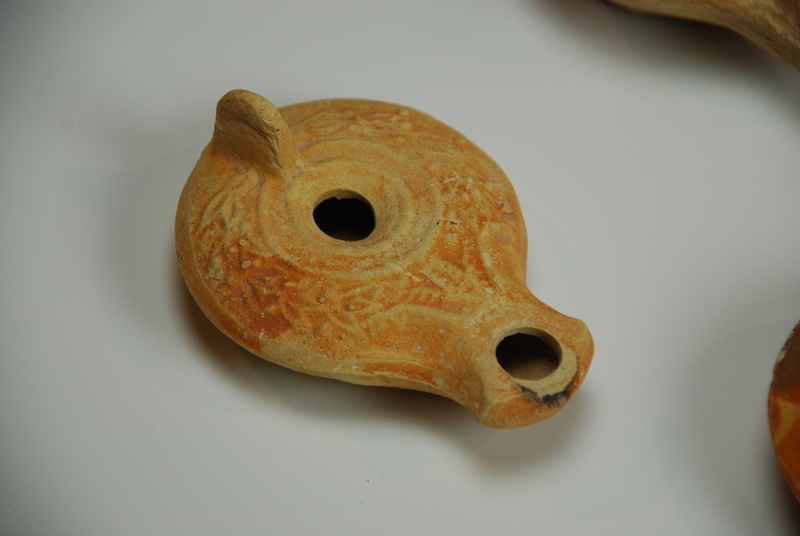 The two halves of the lamp were put together and the two holes were made. 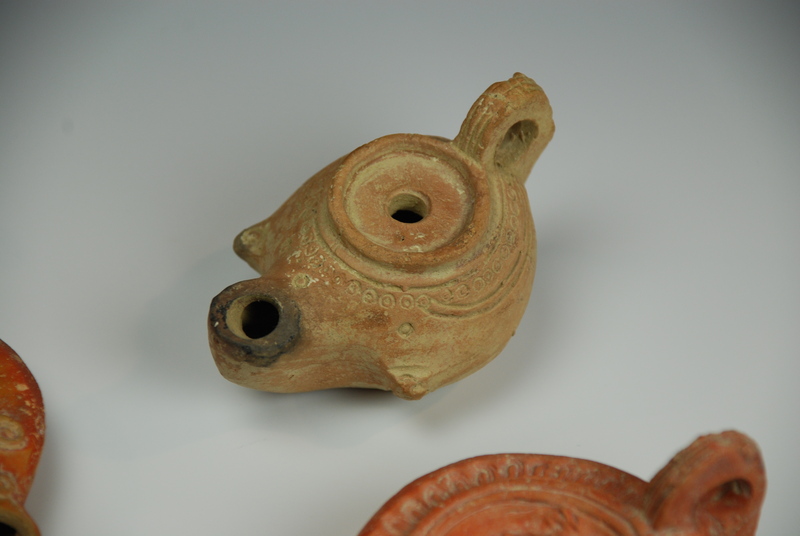 The green ware was then trimmed by hand using small metal tools and then fired in an oven. 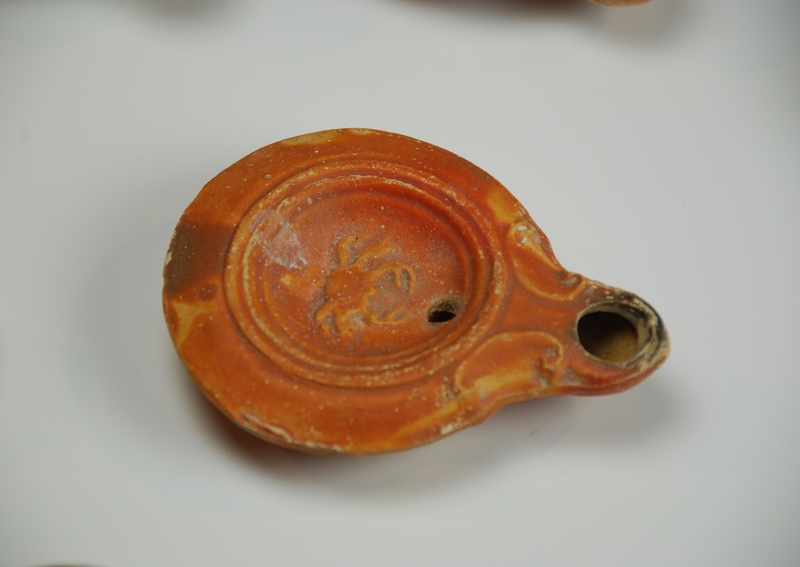 More expensive oil lamps had glazes applied in the firing step. 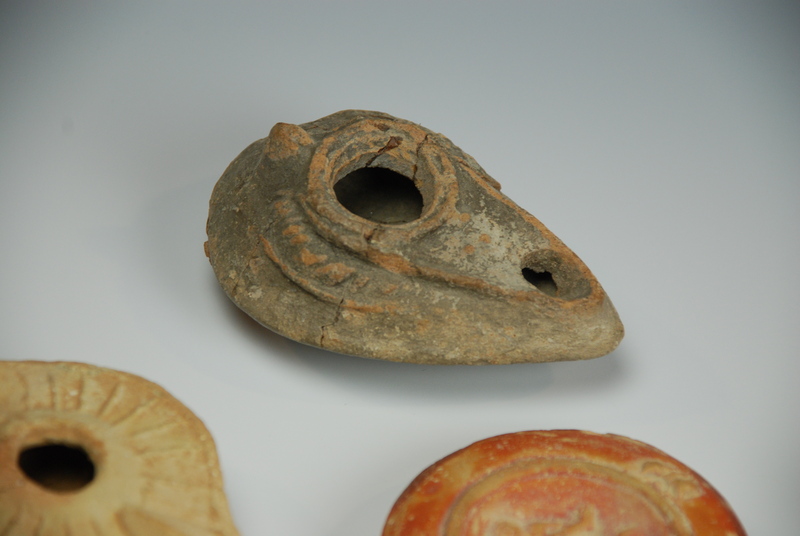 Thanks, oil lamps have changed a lot from Roman times. 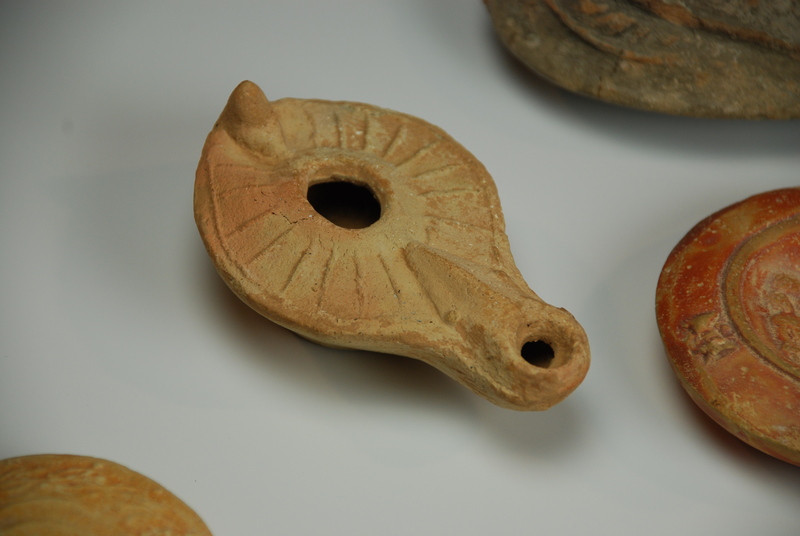 So I have a question what are the different types of lamps through out the middle east…… Israeli Roman Islamic and Christain…… Thank you.